The dummy from Bibs is a true classic. It is available in a great selection of colors, both classic and trend colors, so it's possible to find a dummy that matches any outfit. The dummy with the characteristic round shield and the cherry-shaped rubber-part has given Danish babies comfort and peace of mind for almost 50 years. The rubber-part is designed to support the childs' sucking reflex, and the shape reminds the child of a breast. 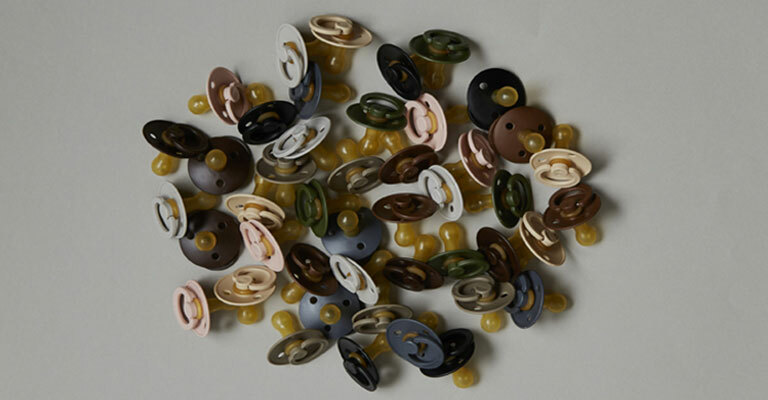 The rubber is 100% natural, which feels velvety, flexible and natural for the baby.